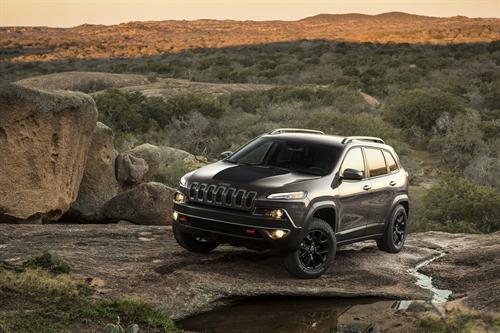 Chrysler has made it clear that the all-new 2104 Jeep Cherokee will not be like prior models. Upon introduction its new nose created quite a stir among Jeep enthusiasts who were used to, and expecting, a square jaw. Now those enthusiasts will have one more thing to consider. The new Jeep Cherokee uses a soy based product as its sound insulation. The new product, developed in conjunction with Dow Automotive Systems may have been named by a native Bostonian since it is aptly called BETAFOAM. Many drivers never consider what is between the outer metal skin, and inner plastic and fabric they see from inside the cabin. Backyard mechanics and bodymen know what is in between–foam. Lots and lots of foam. In most cases the foam is there to simply dampen sound, and that is what Jeep has said this product’s primary role is. Some foams also help to keep thin-wall metal panels in shape as well. Others become part of the vehicle’s sacrificial bumper crush structures. In its press release about the foam Chrysler and Dow did not mention if the foam is edible by rodents such as mice. Mice and other animals already have a tendency to nest in the acoustic materials inside cars and trucks and will chew wires with soy based insulation. The foam used at the Chrysler Toledo Sterling Heights assembly plants is also found in the Avenger and model 200.